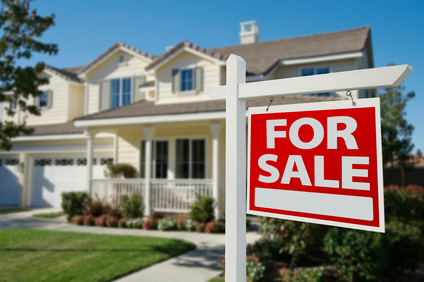 Are you thinking about reselling your home? Whether it’s for now or you are planing ahead, it’s always a smart decision to invest in interior home repair. 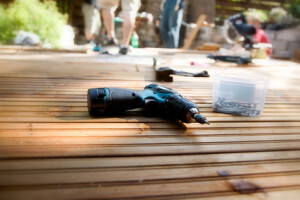 Practical (rather than aesthetic) remodeling projects demand the highest return on investment, and home repair is no different. It goes without saying that a dilapidated house will turn away potential buyers. Optimism in the housing market notwithstanding, make sure you’ve left nothing defective when you’re preparing your home for resale. 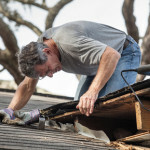 Home repair is important regardless of your plans to sell your home. However, putting it on the market should make repairs even more salient. Here are 10 top-priority projects to work on before you nail the “For Sale” sign into the lawn. Wet basements are a common problem in rainy, humid South Florida. Make sure your basement is properly insulated and your runoff is far away from your house to prevent any leaks into the downstairs. Making sure your circuit breaker is (a) correct and (b) properly functioning is not merely a matter of safety, but also law. Ground-Fault Circuit Interrupter (GFCI) outlets, which disconnect unbalanced conductors, are required in all residential bathrooms and kitchen countertops, so make sure you have one. Being one of the most obvious interior home repair concerns, holes or cracks in the wall are seldom unattended to. Nevertheless, it bears mentioning to scour your home for any damaged drywall that potential buyers may notice. No home inspector worth his or her salt will skip over your house’s electric power panel, so make sure it’s clean, free of broken fuses, etc. You may even want to consider upgrading your panel and factoring it into the resale value. Garbage disposals pose a major problem if they are not working properly. Even if it is working, make sure your disposal is also clean and there are no foul odors emanating from it. Don’t try to run any thin films (such as potato skins), and clear away grease with a simple vinegar and baking soda solution. 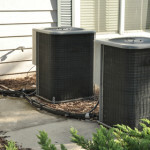 With South Florida being as hot and humid as it is, you can be sure that both buyers and inspectors will investigate your air conditioning system. Hot temperature will be the first thing they notice upon entry, so invest the time into this interior home repair immediately. Any paint that is cracked, faded, or discolored will greatly reduce the appeal of your home and should be attended to as soon as possible. Leaking faucets and fixtures will cause odors and also lead to mold if they are in dark, secluded areas. Since most pipes are within the walls of your home, consider at least getting an inspection by a professional plumber. There are also sewage lines that run outside your home: namely, waste lines. Make sure your lets are draining and your septic tank is not leaking. If you have a drain snake on hand, use it to unclog anything that is obstructing the waste lines’ flow. Lastly, ensure that your water heater is free of any sediment and is properly doing its job. A particularly important task will be replacing the sacrificial node of your water heater, and don’t hesitate to call a professional if you cannot fix your heater on your own.